Welcome to The Dance Shop, located in Holbrook, MA. Directors Emmy MacWilliams and Joyce Galvam have been teaching in the Holbrook area for many years. They believe in the physical, artistic, emotional, and social skills for students. They also believe that dance education inspires good work habits and healthy lifestyle choices for all ages. Classes in ballet, tap, jazz, modern, contemporary, hip-hop, and ballroom are offered to students from toddlers to adults. We also offer classes in Pilates, Yoga, and Zumba for adults. All of the teachers and teacher assistants have received their teaching certificate through The Dance Teachers Club of Boston. Make sure to visit our staff page for an introduction to our staff. Since 1998 students of The Dance Shop have performed in Walt Disney World in Orlando, Florida. They are currently preparing for a performance this summer. The students participate in fundraisers during the year to help raise funds for their trip. In addition to their annual spring recitals and performing in Disney, the students also perform in a “Holiday Spectacular”. For more information call the studio at 781-767-4900. 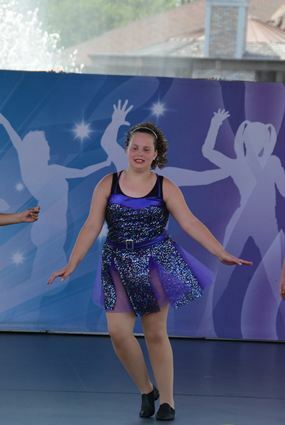 Dance builds character, confidence, creativity, self-expression, musicality, joy, and excitement. We hope that dance will inspire your child in class at The Dance Shop. Thank you for your interest in The Dance Shop! Dancing Disney here we come!!! Registration for new classes are always welcome. For more information Click Here or call 781-767-4900 .